YOU MUST CUT AND REMOVE THE STRINGS FROM THE BALE BEFORE YOU SEND THE BALE THROUGH THE MACHINE. CHUTE ROTATES 360 DEGREES /UP AND DOWN. WILL THROW THE MULCHED HAY APPROXIMATELY 30-40 FEET WITH THE RIGHT CONDITIONS. 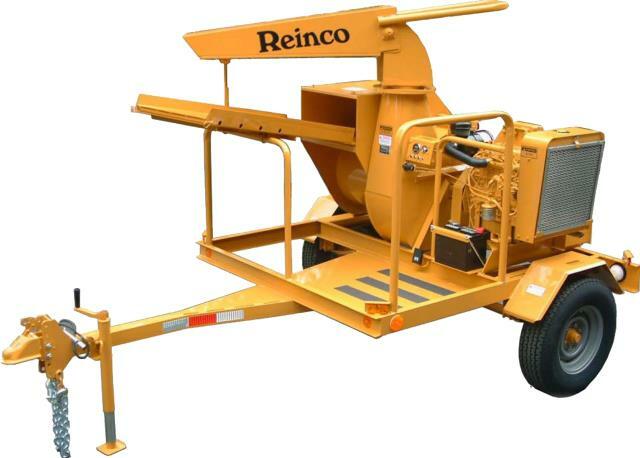 * Please call us with any questions about our hay mulcher reinco trailer mounted rentals in Flemington NJ, Somerville, Flagtown, Frenchtown and Western New Jersey.